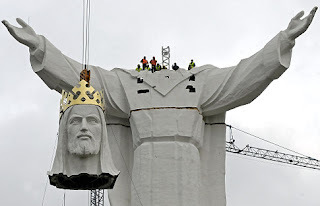 Which is the biggest statue of Jesus Christ in the world? The first answer that comes to your mond for this question would be Christ the Redeemer statue in Rio de Janeiro, Brazil, isn’t it? But you have to update your GK now. 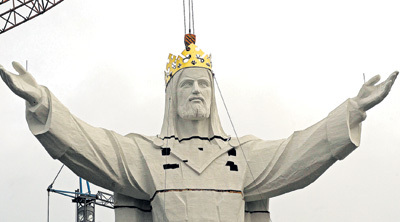 From now onwards the largest Jesus Christ Statue is the one erected in a small Polish town named, Swiebodzin! 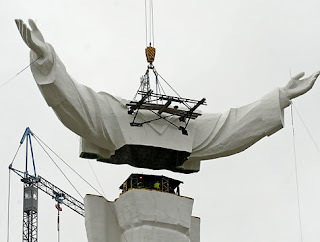 The effigy stands at a total of 51m (167ft). The statue itself is 33 m, one metre for every year that Jesus lived. The idea of such a statue came from a retired local priest, Rev. Sylwester Zawadzki. 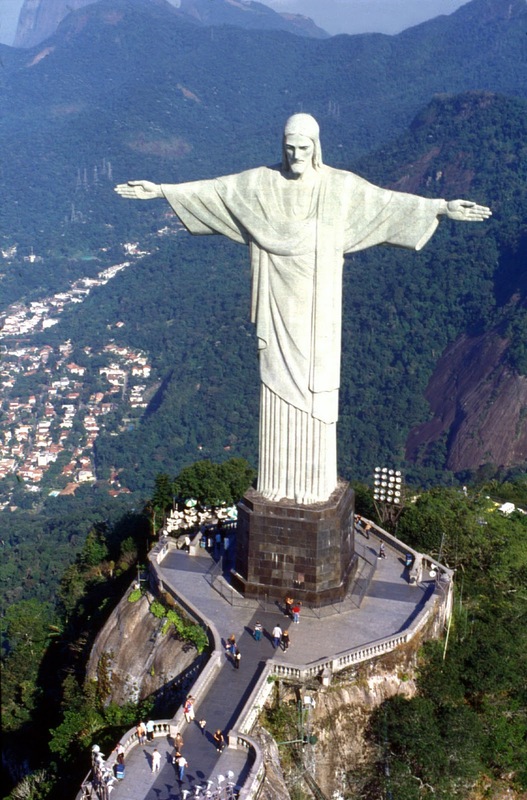 The statue is similar to the one in Brazil, depicting Jesus standing tall with his arms outstretched. The Polish one, however, has a large golden crown and stands on a mound. The arms and shoulders weigh 30 tons alone. Brazil's famous Christ the Redeemer statue, the previous record holder, stands at 39.6m (130ft). Many residents in Swiebodzin welcomes and believes the statue will put their town of 22,000 on the map for tourists and Roman Catholic pilgrims. Their visits shall bring in needed money to renovate the historic buildings in the tiny town center.